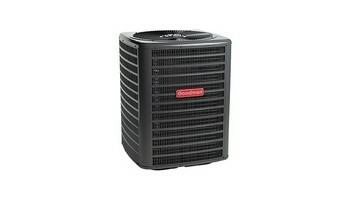 Goodman® is one of the biggest names in home cooling, heating and energy-efficient home comfort. That’s because Goodman lives up to its name in a big way, with time-tested energy-efficient technology, highlydurable materials and spot-on manufacturing. Goodman manufacturers offer 10-year Parts Limited Warranty coverage on all functional parts. In January 2005 they became the only HVAC manufacturer to offer a Lifetime Compressor Limited Warranty on the compressor in our air conditioning products and a Lifetime Heat Exchanger Limited Warranty on the heat exchanger in our furnaces. The best packaged system is the kind you don’t have to worry about. It comes on the moment you need it and then runs quietly and efficiently all year long. The Goodman GPG14M and GPG16M units are loaded with features designed to provide outstanding performance for years to come. Goodman furnace installations can be done in as quick as one day. You will never have any worries after you install a Goodman furnace. For the last 25 years Goodman Furnaces has improved in every way. They have become more efficiently built. The controls are lasting a lot longer. We recommend installing Goodman furnaces. Service and maintained changing the filter every month. The Price is Right Heating and Air Conditioning installs Goodman Furnaces. Goodman Furnaces whether it's an 80% efficiency furnace install. Or if its at 95% efficiency furnace install. Goodman in general are great furnaces. Goodman Furnaces can be installed in any residential or commercial space. They have great warranties from the manufacturer. The supply houses will go out of their way to help you if you are a dealer of Goodman Furnaces. Azrikam The Price is Right Heating and cooling has been the Goodman dealer for the last 25 years. 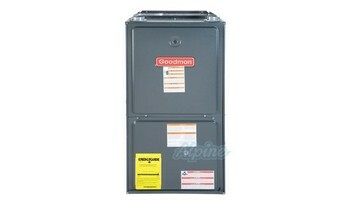 We will supply and install Goodman furnace for whoever needs one. Our Goodman furnace installers will always be careful when we install any 80% furnace or a 95% efficiency furnace. 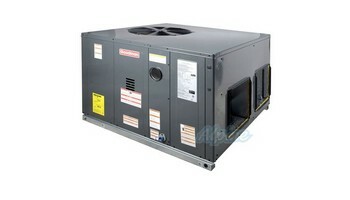 There are a lot of things you need to understand and know before installing any kind of furnace. Make sure after any furnace installation that the gas and electric is done by a proper HVAC installer.